This week, I am featuring Kali Wellington from Guide To Organics. I am a really big fan of Kali’s website which is packed full of awesome information and resources on all things organic, including products, websites, cafes, restaurants and more. I hope you enjoy my interview with Kali. My name’s Kali Wellington, and for a long time I was a travelaholic… but now I live in Perth, Western Australia with my very gorgeous 5 year old boy. Since my late teens I’ve taken quite an interest in natural health, and am part way through a Bachelor of Health Science (Naturopathy) – not sure I’ll ever finish this though – there’s way too many distractions like working and being a mum… and travelling when I can 😉 I think there’s something about becoming a mum that changes you, when your little ones are sick, having adverse reactions to certain foods or dealing with eczema, us mums start asking questions like “why’s this happening all of a sudden”? That was a big part of what inspired me to start choosing healthier options, to try and fix the root cause rather than apply bandaids. What inspired you to start Guide to Organics? Two things happened, around about the same time. Just after my sons 18 month vaccination he developed food allergies and eczema. Not long after that I suffered a serious bout of depression. Totally unrelated events, but combined it sent me on a health journey I didn’t see coming. The doctor prescribed steroid cream for my sons eczema and anti-depressants for me. I wasn’t interested in either option. Instead I decided to take a different approach: I threw nearly everything out of the pantry (too much packaged and lifeless food in there), I filled the fridge with fresh organic fruits and vegetables, I purchased a cold pressed juicer and made green juices nearly every day. I also introduced fermented foods, probiotics and upped the yoga classes. I was also addicted to documentaries and health summits – quality information that helped me make better choices. It didn’t take long before I saw a shift. My sons skin cleared and I felt the best I’d ever felt. 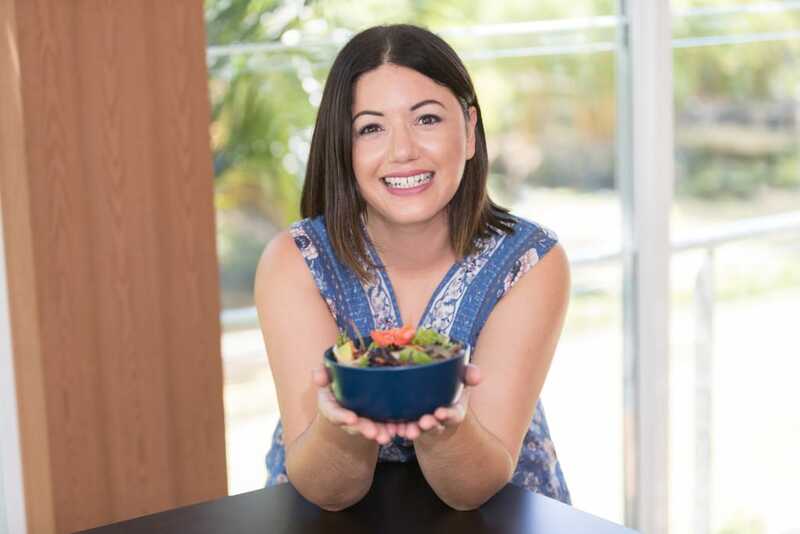 I felt so empowered from making such simple changes I created Guide To Organics with the aim to help others attain better health (and organic options) in a fraction of the time. I’m in the process of writing Guides for all of the major cities in Australia, I’d like to make it easier for people to find organic options when they travel, move to a new city or simply want to switch from conventional to organic and don’t know where to start. My plan is to turn this into an e-book which will be free for anyone to download. Eating well means different things to different people. Eating well to me means eating organic. If you buy direct from the farmers market you can get some real bargains (along with the freshest produce!). Also if you search around there’s some organic shops offering some great prices too. Guide To Organics doesn’t rate shops according to their prices but we certainly do try to make it easy for you to find the closest organic shops. Buy what’s in season and do some big cook ups at home – be sure to freeze the extras for ready to go meals instead of buying take away. Probably the slow cooker option, because you can throw everything in and come back to it later all ready to go. Or buy a thermomix if $$$ allow. Sure can, but it’s not really “cooking” as it’s all raw 🙂 My Choc-Mint Bliss Balls. I have been known to include more than 3 drops of peppermint essential oil… please remember that not all brands of essential oils are created equal. I recommend Bare Oils, USDA certified organic and food-grade. If you don’t have almonds and walnuts, use any nuts. Some are more oily than others! If you use macadamia nuts you may not need to include the coconut oil. Macadamia nuts are very oily! You could use orange oil instead of peppermint oil. If you don’t want to get your hands dirty, pour the entire mixture into a cake tin, pat it down so it’s flat, cover the tray with alfoil and pop in the fridge to set (see if you can last 20 minutes). Then cut off a slice when it suits you. Kali is passionate about health and wellness and believes strongly in the power of food as medicine. You could say she is obsessed with living the organic life but who better to be obsessed than the founder of Guide To Organics. Not only an online directory for all things organic, but a source of information for recipes, upcoming events and of course the blog section with articles from various natural health practitioners. Kali is also a big advocate of certified organic, therapeutic grade essential oils which are available for purchase from Guide To Organics website. Her ultimate mission is to connect you to local organic businesses that you can trust. She would also like to inspire you to lead a healthier, happier life, full of passion, love and joy.